Harriet Ritvo, the Arthur J. Connor Professor of History at the Massachusetts Institute of Technology, will present "A Whiff of Danger: Hybridity, Breed, and Wildness," from 4:30-6 p.m.on Thursday, April 4, in SL 140. Ritvo's lecture will explore several contradictions within British and American attitudes toward other animals in the 19th century. How “breed,” ideas about purity and difference, and definitions of types of animals were negotiated by 19th century Europeans and Americans continues to have implications for how we currently distinguish between domesticated or “tame” and “wild.” Just what we mean by “nature” is also at stake in these cultural and scientific negotiations. 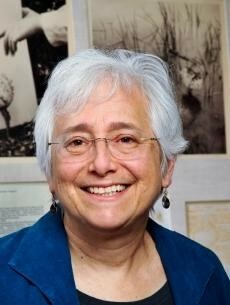 An eminent historian of science and the environment, Ritvo is the Arthur J. Conner Professor of History at MIT and is one of the founders of the field of animal studies. She teaches courses in environmental history, the history of human-animal relations, and the history of natural history. She is the author or editor of many books, including The Dawn of Green: Manchester, Thirlmere, and Modern Environmentalism (Chicago UP, 2009), The Platypus and the Mermaid, and Other Figments of the Classifying Imagination (Harvard UP, 1997), and The Animal Estate: The English and Other Creatures in the Victorian Age (Harvard UP, 1987). The lecture is sponsored by the WWU Department of History, the Honors Program, Department of Biology, Department of Global Humanities and Religions, (formerly Liberal Studies), Provost’s Office, and CHSS Dean’s Office.